The leading country in rubber consumption is China. India ranks at the fourth position after USA and Japan. Both natural rubber and synthetic rubber are the preferred materials to produce a host of industrial goods. 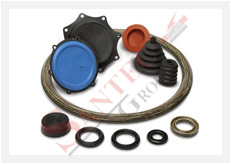 Most of these products are manufactured from a wide range of elastomers including Bekalite, SMC, DMC, FRP, Thermosetting Plastics, EVA and Phenolic Resins.